Most of you often get stuck with your media files not playing on your system. They give either a audio error or vedio error or sometime both. And the error message you normally get is that format is not supported and you need a codec to run that file. 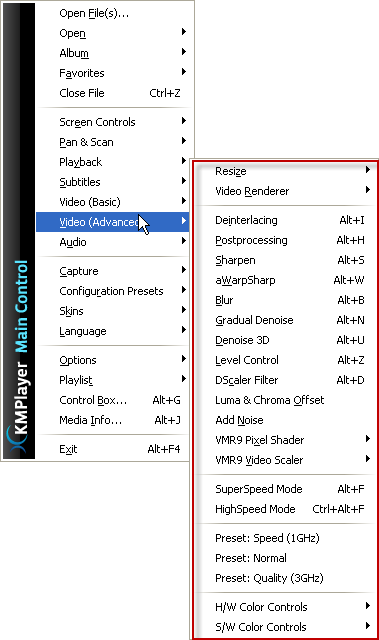 Today i will be talking about The KMplayer which almost plays anything. The few formats which it doesnt play sometime can be played with using codec packs like Klite about which i will talk in some other article. You will be amazed with the amount of options that are available when you just right click on it , to get the menu options. It got option for everything you could ever thought about and many which you never thought about. It got built in option starting from Equaliser settings for audio along with 3D surround sound along with a virtual Dolby surround sound even if you dont have the required speakers. 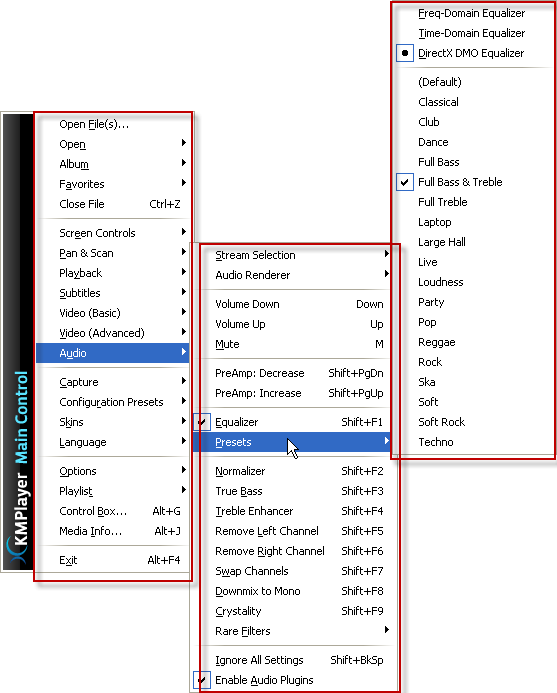 You can adjust audio using rare Audio filters like Voice emphasis, noise reduction, crystal sound nad much more. 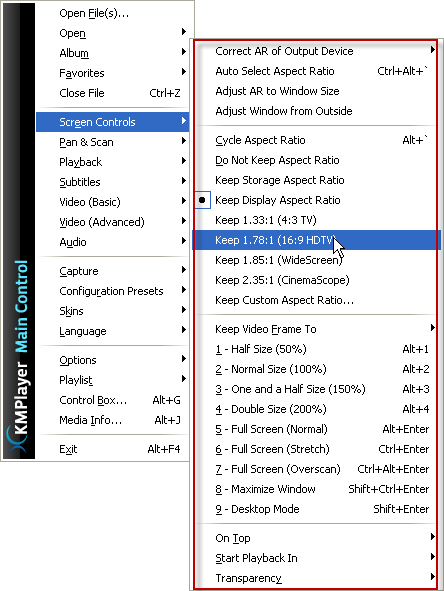 Also you got options for adjusting your screen size with pan and scan feature with tons of options in t ranging from normal wide screen to HD screen resolution. You really need to use it to know how much options it has. You can also add subtitles file to it to make it easier to watch movies in other languages.Â Along with all these, you can adjust the position of subtitles, its font sizes and much more. YOu can sync it too easily if your subtitle is out of sync. Give it a try and you would be delighted to use it and you will say, why i haven’t used it till now. After you use it one time, you will not go for an other Media Player ever. Visit TheKMPlayer Webpage here. 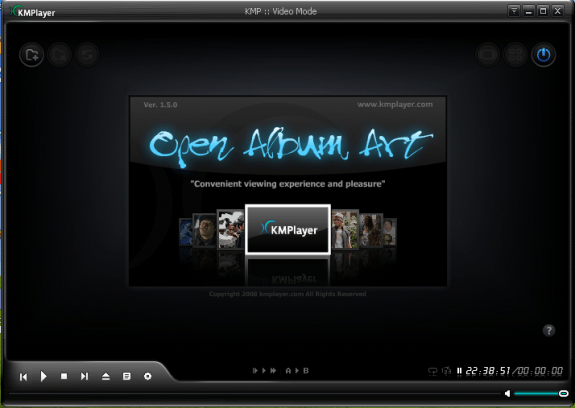 Download KMPlayer here.